Hi Everyone! A little late, but better than never! If you follow me on IG, then you know I am referring to my late post of this recipe from last week's #soupsunday! Every Sunday evening during the winter months, I put my soup making attempts on my IG stories for you to watch along. If you haven't tuned in, please do so! 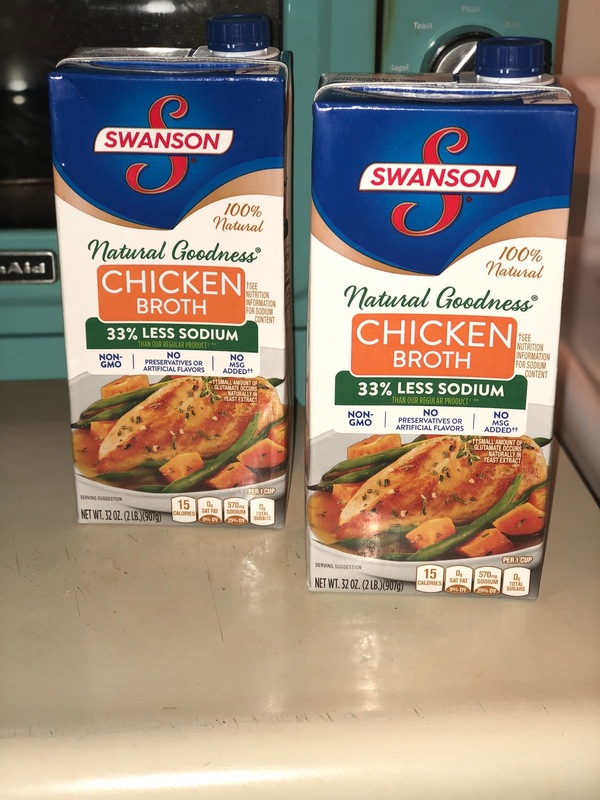 Soup is a great way to stay warm, plus when you make it yourself, you can control what's in it, so I make mine with little to no salt and lots of whole foods. If you are interested in an adult version of the childhood favorite spaghettios, keep reading below! 1. Mix all meatball ingredients together except for the olive oil in a bowl. Once they are mixed, form small meatballs. Once you form all of your meatballs, heat the olive oil in a large dutch oven, turning the temp to medium/medium high. 2. 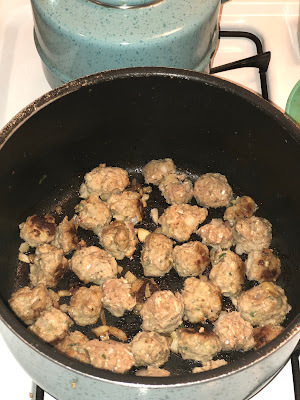 Cook all meatballs in the dutch oven, browning them on each side. They may not fit all at the same time, so you may have to do them in batches. 3. 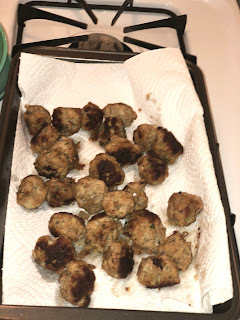 Once all meatballs are cooked, remove them from the pot and place on paper towels to drain. 4. Without cleaning the dutch oven, add your chopped onions and shallots and cook until translucent keeping your temp on about medium low. 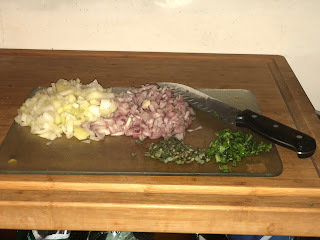 You can also add the chopped garlic. 5. Once onions, shallots and garlic are cooked, add your whole tomatoes along with the sauce, breaking the tomatoes by hand into the pot. Mix them around in the pot. 6. 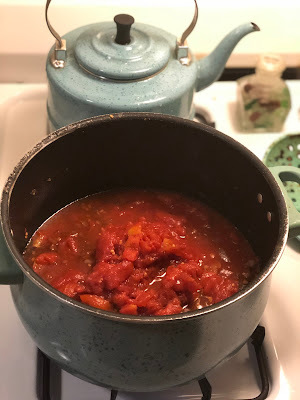 Once the tomatoes are broken up and mixed around the pot, both containers of broth are added. At this point if you like a smoother consistency, use an immersion blender and blend the tomatoes and broth until its a thick consistency. 7. 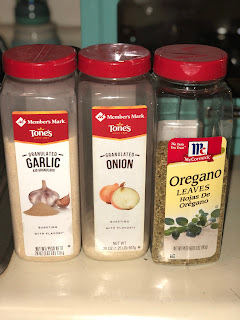 Once the broth is added, add back your meatballs, the pasta, and your seasoning. Bring all of this to a boil and allow it to simmer, stirring occasionally. . 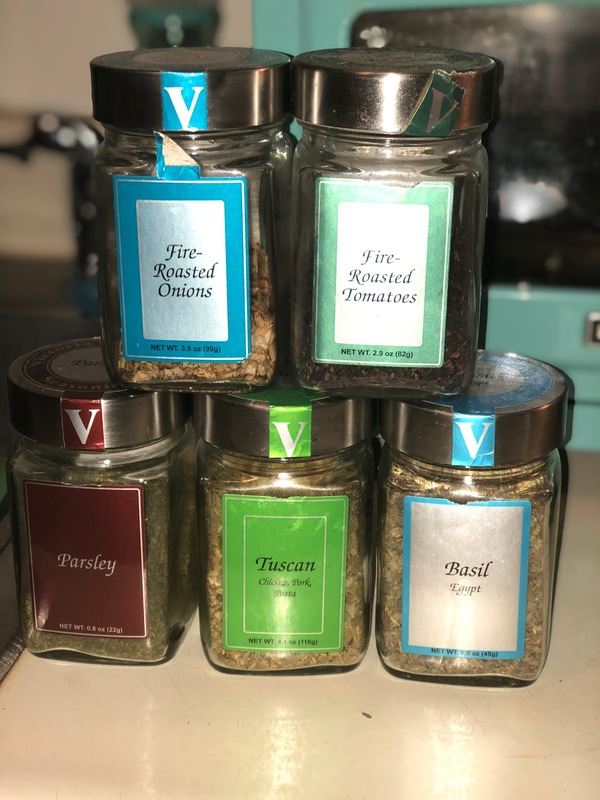 I love these Victoria Gourmet seasonings, you can find them at TJMaxx or on their website. 8. 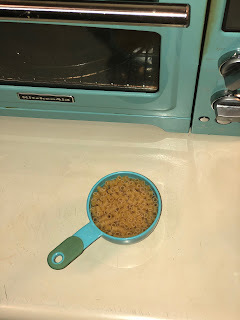 The last two ingredients can be added, the grated parmesan cheese and the fresh parsley. 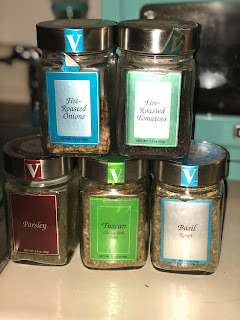 Continue to season until it has the flavor you like, adding more seasoning as you go. 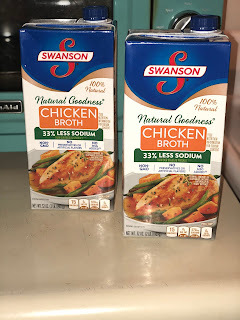 If you opted to add the cream, this is when you add it! And there you have it, your own fresh, homemade adult spaghettios!!! Hello, Allow Me to Reintroduce Myself!